We are under two weeks away from E3, what many of us believe as the most exciting time of the year! 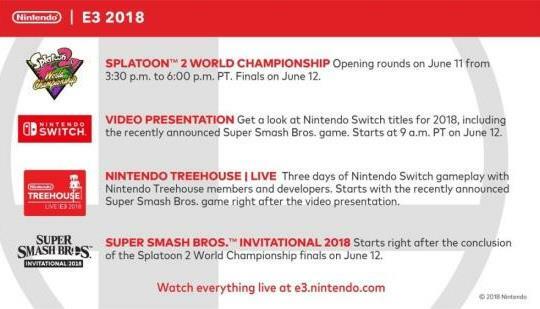 While us Nintendo fans are spoiled by multiple big Directs throughout the year, this is the time where the big stuff gets announced. While some of the games on list my sound extremely unrealistic (which is because they might be! ), I in no way expect all of this stuff to happen. This will just be a bunch of things that I could see happening, in a list, and I will give it my personal rating out of 100 as to how likely I think it is. I will not be covering Indie/Third Party games but I assume TONS will be announced as well, given how well the Switch is selling and the mass popularity. One final thing before we start, Nintendo has said that the Spotlight will only focus on 2018 releases and that games releasing beyond that will “be featured at a later date.” While i’m not saying they’re lying, they said something rather similar for last years E3, and we know how that ended. I personally feel like we will get a couple 2019 announcements for Switch, but I will not be shocked if they only show 2018 titles, and you shouldn’t be either. Now let’s get started! Presentation: Last years showcase was 25 minutes long. I think this years will be a little longer, maybe around 30-40 minutes. They have a lot of show, just based on the announced games, and I think we see a bunch of new titles both 1st and 3rd party. I also believe we will see no 3DS games during the showcase, they will have their spotlight during the Treehouse like last year. There we have it, this is what I could see being announced at E3 2018 for Nintendo. What do you guys think will be announced? Let me know in the comments or on Twitter! Also, i’m holding a giveaway, if you come the closest to correctly predicting Nintendo’s E3 press conference you can win a $50 Nintendo eShop gift card! Enter by June 10th!